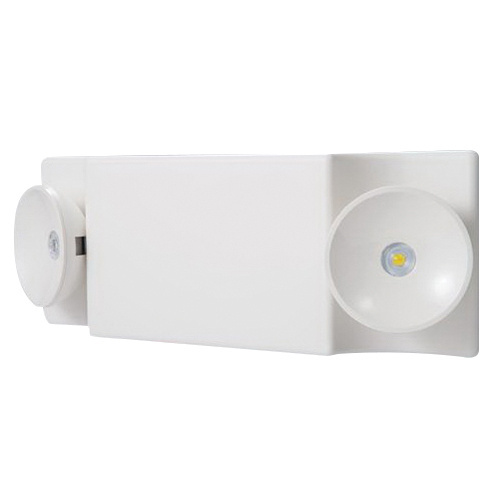 Cooper Lighting Sure-Lites® Self-diagnostic LED emergency light in white finish, has polycarbonate construction for added durability. The wall/ceiling/pendant-mount light with thin-profile design, has LED lamp that delivers a light output of 109-Lumens. This light covers up to an area of 25-ft. It has a voltage rating of 120/277-Volts, current rating of 0.07-Amp and power rating of 0.6-Watt at 120-Volts, 0.67-Watt at 277-Volts. It comes with nickel-cadmium battery for 90- min emergency illumination. 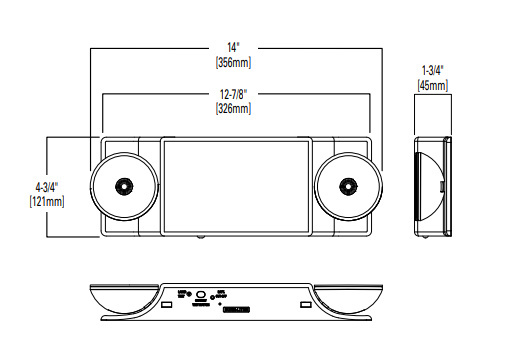 It measures 14-Inch x 4-3/4-Inch x 1-3/4-Inch. It is suitable for indoor and outdoor applications. LED emergency light meets UL924, life safety NFPA 101 and NEC/OSHA standards. * Inventory displayed is accurate as of 04/22/2019 14:40 EDT.